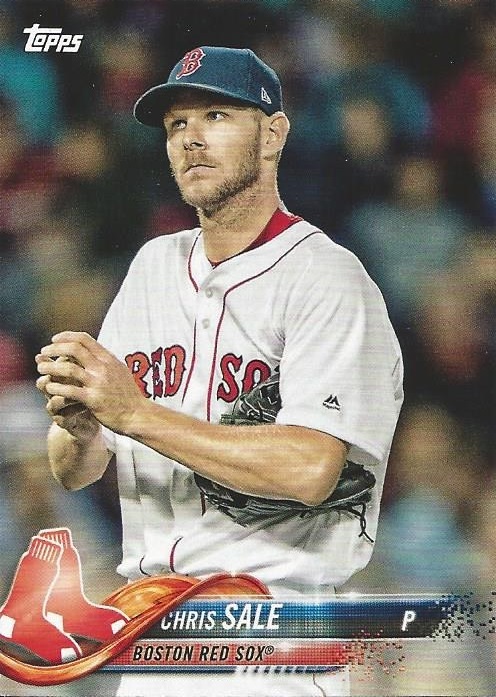 In the lone pack of 2018 Topps that I've opened to date I received exactly zero Red Sox. Especially painful given that it was a 36-card hanger pack. 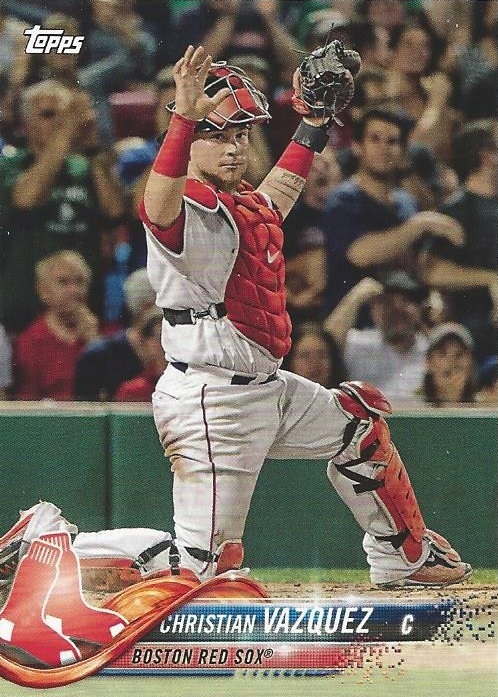 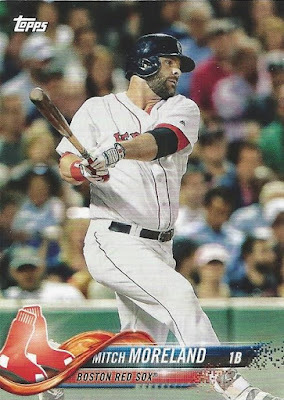 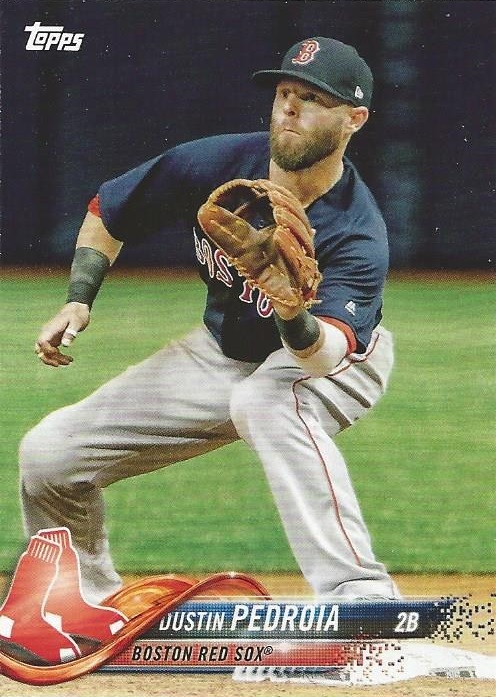 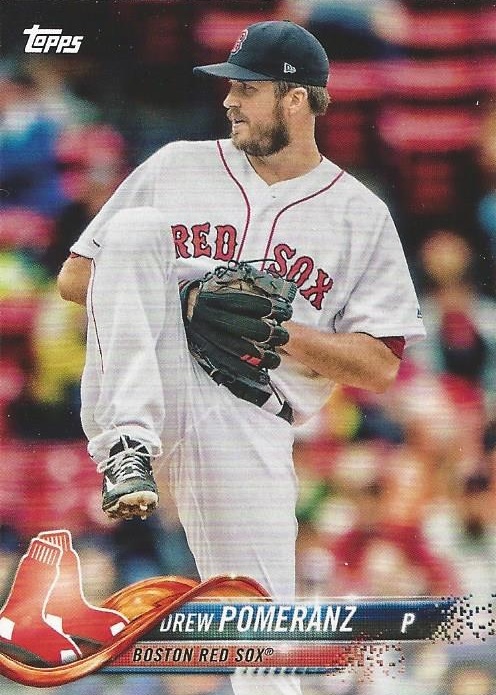 I figured the annual Red Sox team set that Topps churns out would be a much safer bet to match my particular collecting interests, so one made its way into my basket in a rare retail purchase last time I was at Target. 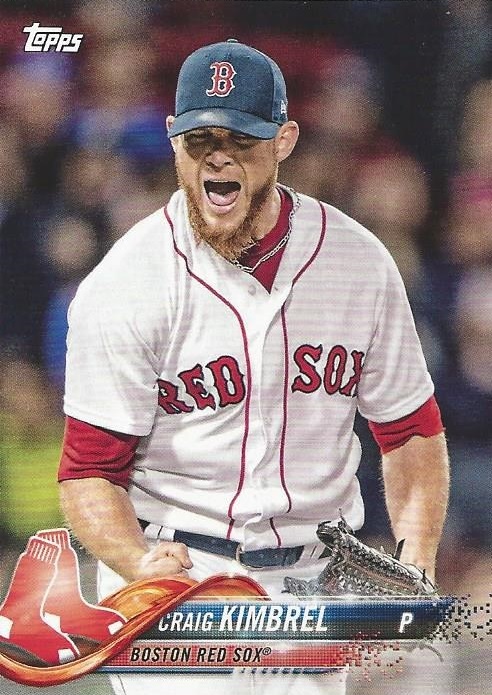 I'm not going to provide commentary on all of these. 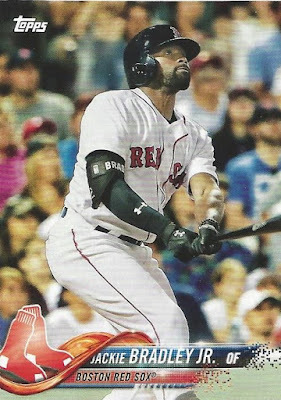 I wish I had time to get into a breakdown of which cards feature different photos than their flagship counterparts, but I don't. Not this week, and probably not next week either. 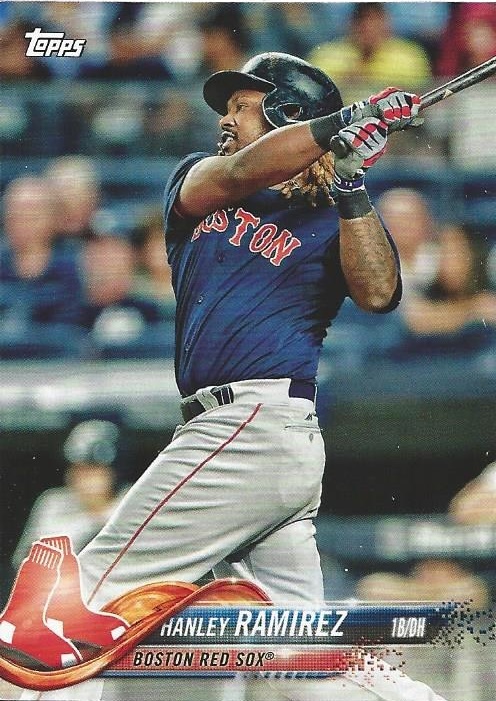 Unless I missed something, I haven't heard any news at all about Hanley Ramirez since Boston released him. 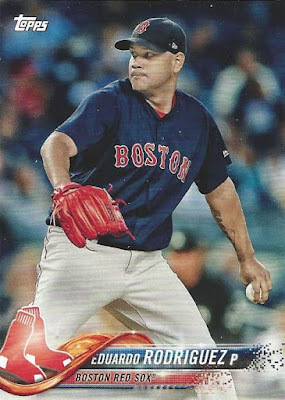 I actually thought he was having a decent season and it seemed he was let go as much for contractual reasons as anything, so I figured someone would've scooped him up by now. 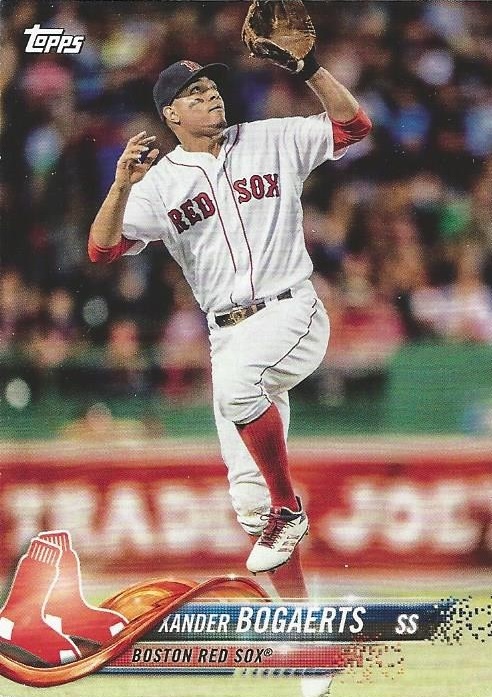 Always appreciate a new Xander Bogaerts card! 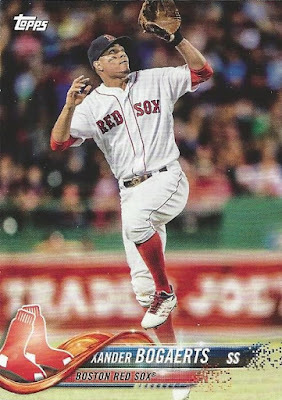 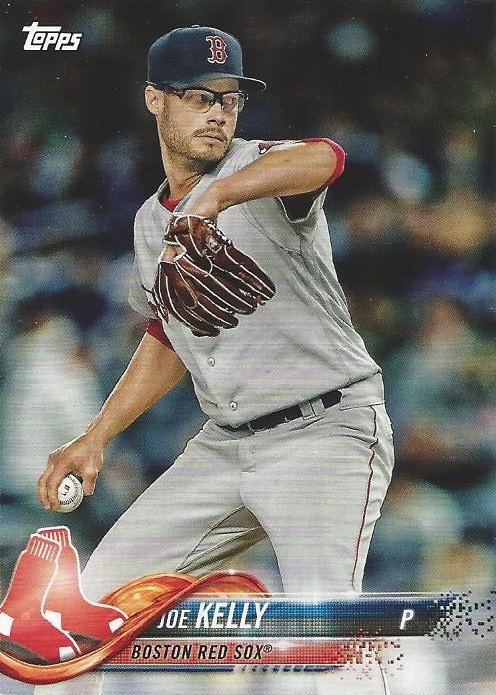 I just looked it up and apparently I currently have the largest Bogaerts collection on the Trading Card Database (just 68 cards added so far with many more in hand that I need to inventory). 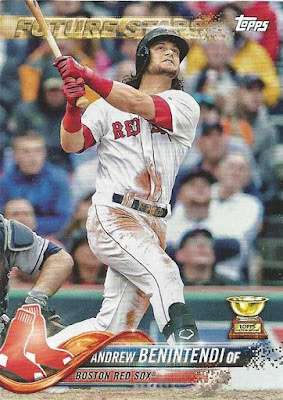 Well, here's something a little different. 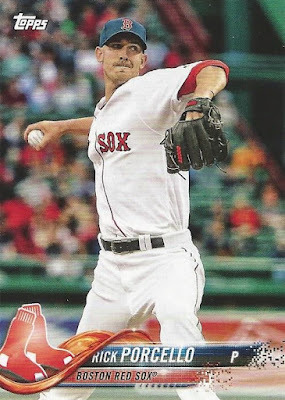 I've got quite a few Wally the Green Monster cards at this point, but this is my first "Tessie". 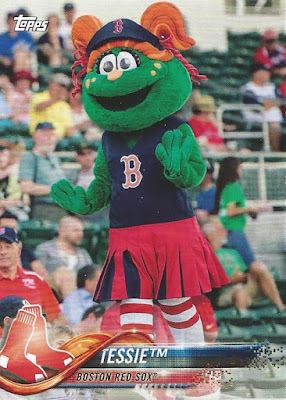 In fact, I don't recall having heard of Tessie before. 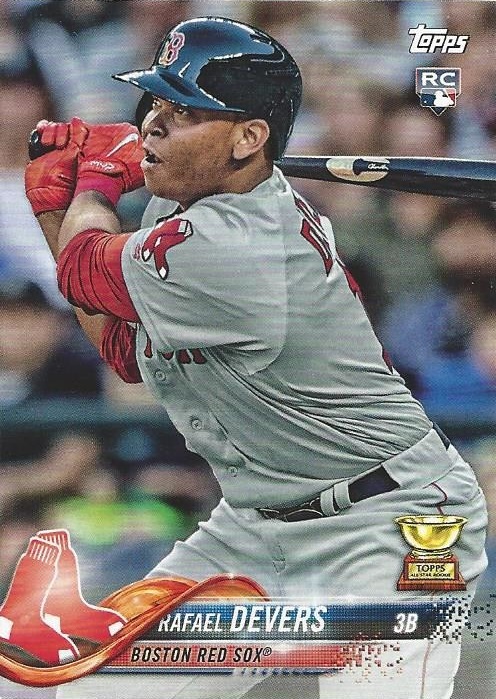 Whatever, if it helps get young kids into the game I'm all for it. 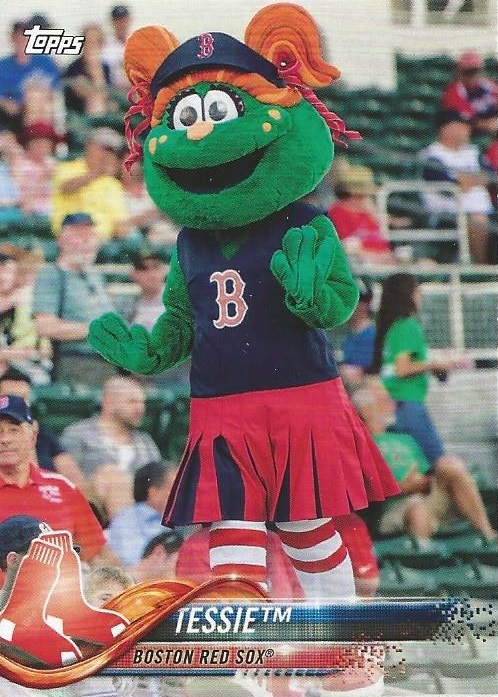 Besides, mascot cards are something out of the ordinary if nothing else. 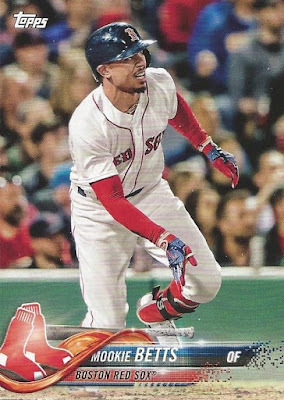 I don't have all the Red Sox from '18 flagship but I can tell you the Betts, Moreland, and Vazquez have the same photos. The Benintendi is a nice looking card. Also, I'm not sure what's going on with Han-Ram either. 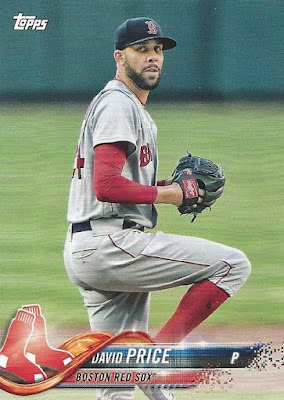 He was garbage in May but great in April. I'm sure he can still help a team.